GLZ Series High Pressure Flow Auto Controller (hereafter we call GLZ) is the high-tech product of mechanical and electrical integration, which is invented and manufactured jointly by R.R. Flowmeters Pvt. Ltd. & Shanghai Yinuo Instrument Co., Ltd. (Invention Patent No. : 200610046132.3 & Utility Model Patent No. : ZL-2004 2 0031280.4). 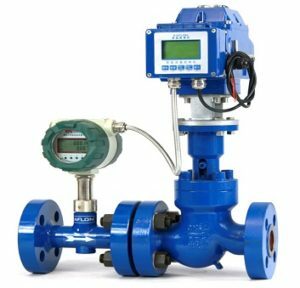 It assembles the high-pressure flow meter, high-pressure flow control valve and flow controller. There are the features of compact structure, easy operation, visual display, higher accuracy, corrosion proof, fouling prevention, dual-purpose of alternating and direct current and manual or automatic flow control, etc. It is suitable for higher-pressure water injection and the project of polymer injection, especially for water flooding.